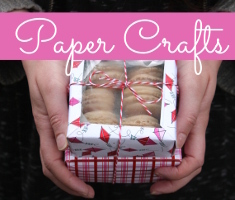 To begin, print Spinner PDF out on a piece of regular printer paper. 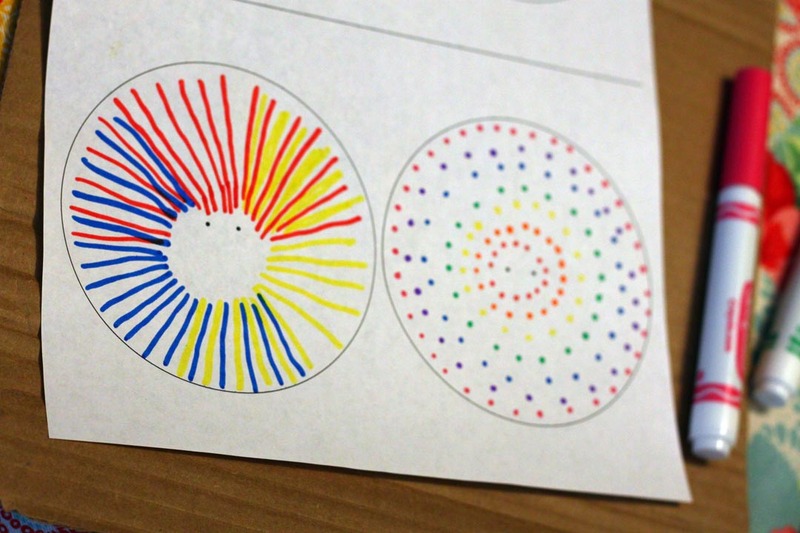 Use your markers, crayons, and colored pencils to make a colorful design within the two circles on the paper. 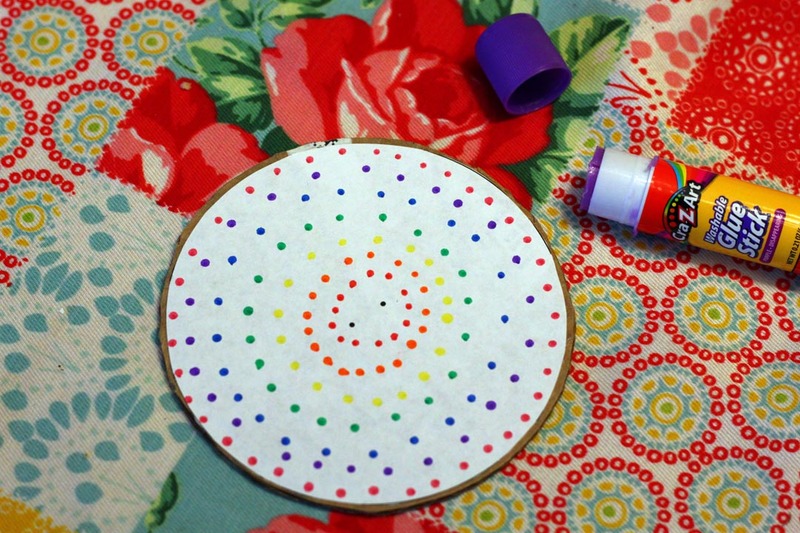 Try making dots, and lines, as they will blend together when the spinner is spun, and create new colors. Cut out the two colored circles.Â Use your pencil to trace around one of your circles on the cardboard, to create a cardboard circle of the same size. 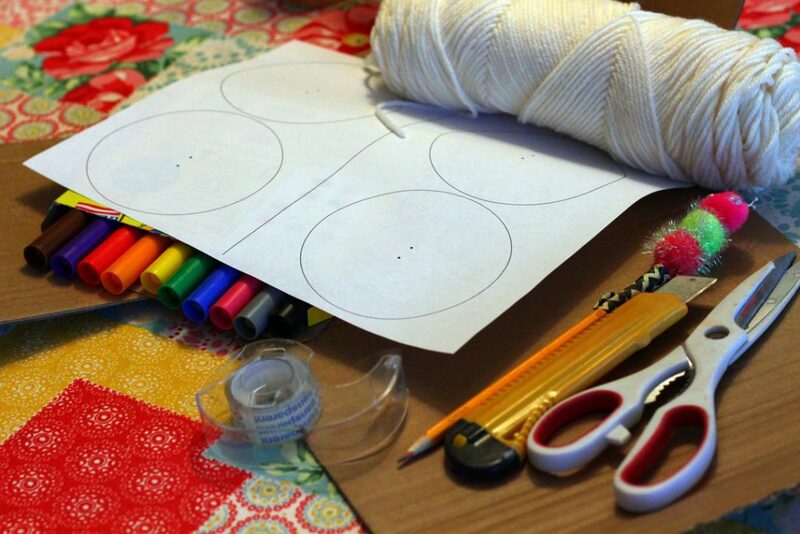 Use your scissors to cut out the cardboard circle. 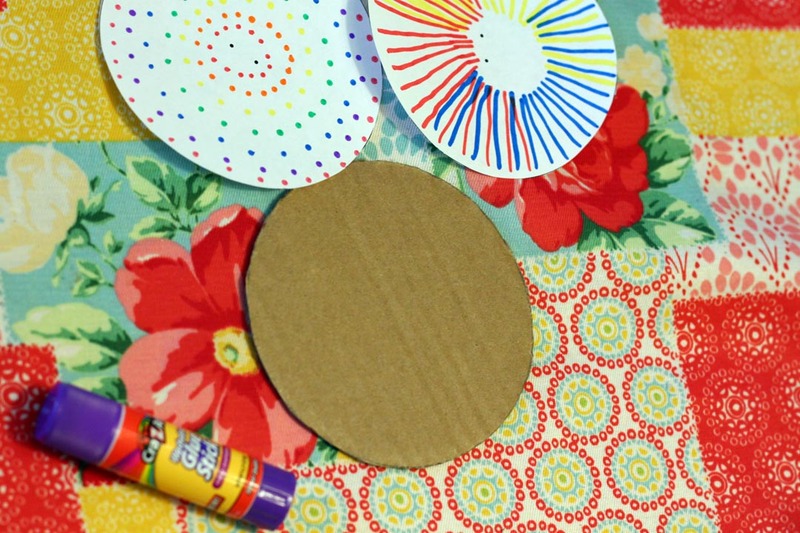 Use your gluestick to glue the colored paper circles, to both sides of the cardboard circle. Let dry. 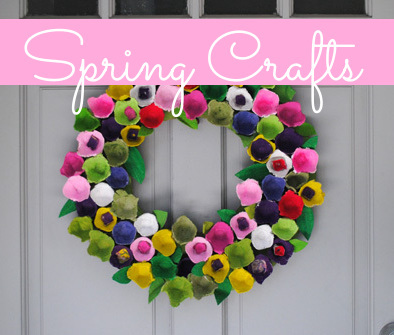 Cut a piece of yard about 2 feet in length. 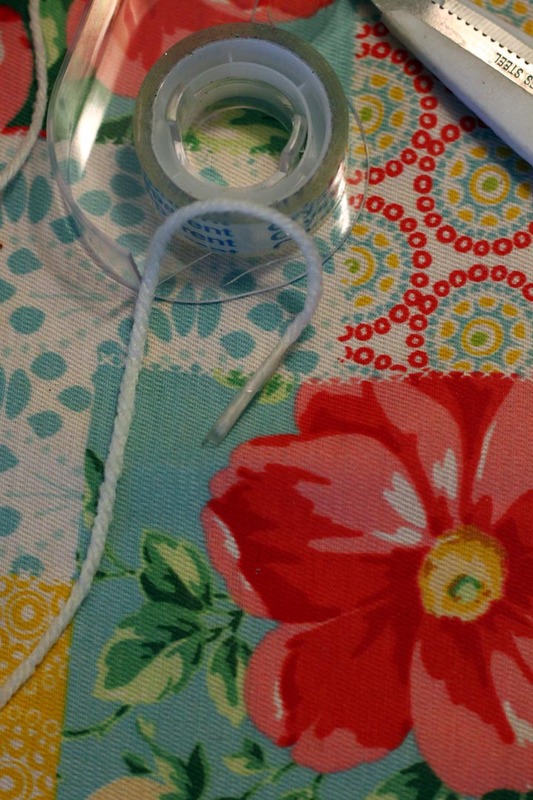 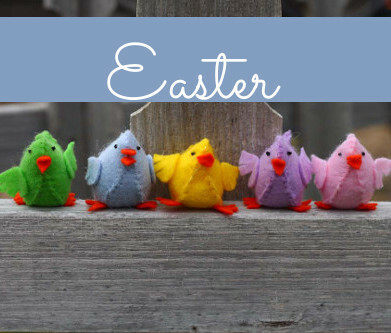 Roll small piece of tape onto one end of the yarn to create a “needle” for threading. 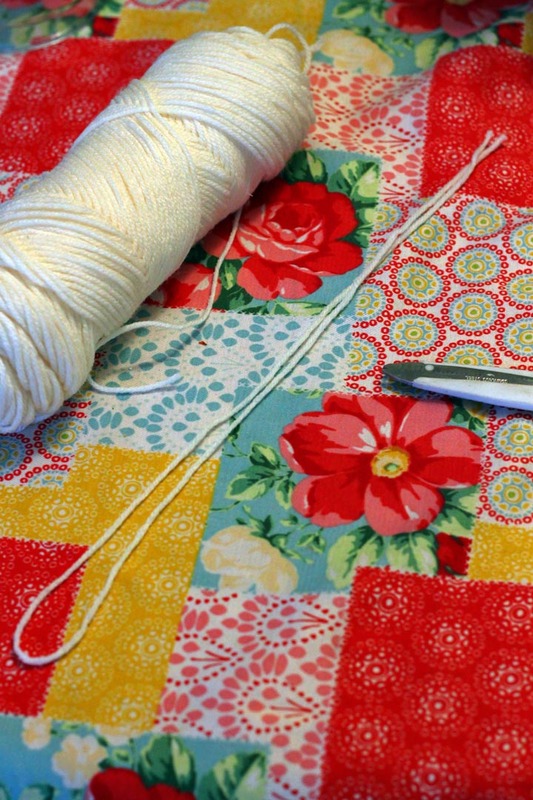 Take the “needle” end of your yarn, and thread it up through one of the holes, and then back down on the same side, through the next hole. 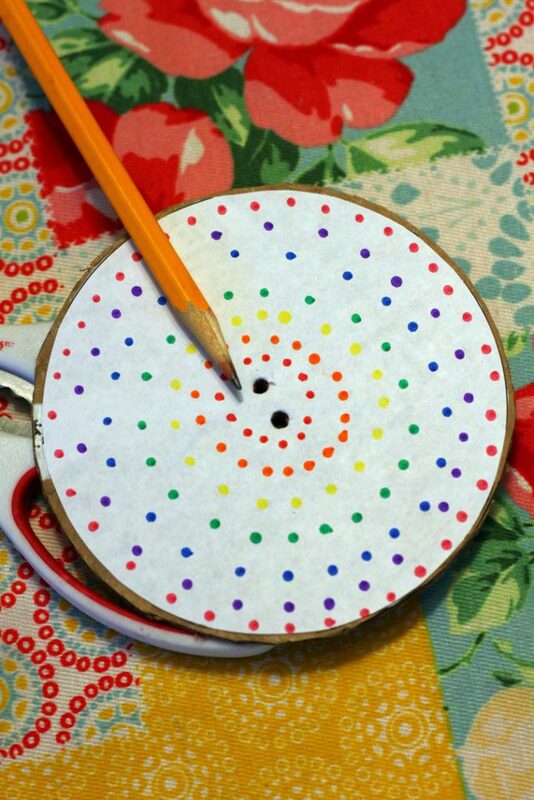 Slide the cardboard disc to the center of the strings–you will have a loop on one side, and two ends on the other. 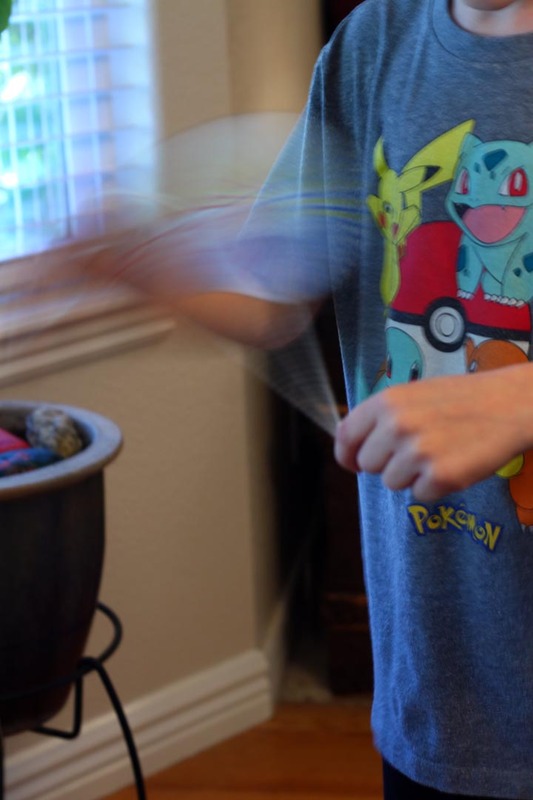 Tie the two ends together to form a loop. To play with your spinner, make sure the disc is in the center of the strings. Grasp one end in each hand, holding the strings loosely, so the disc hangs down in the middle of a “V” formed by the strings. 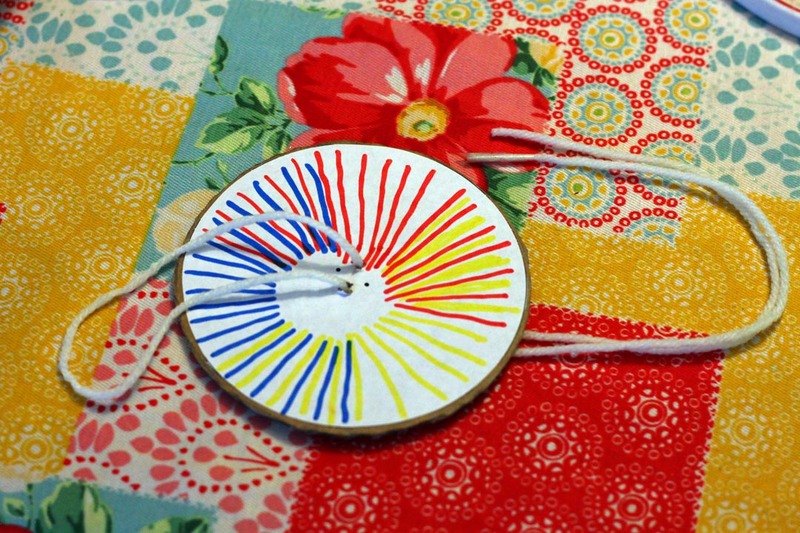 Begin winding it up twirling the disc towards you by the strings, in big arcs. 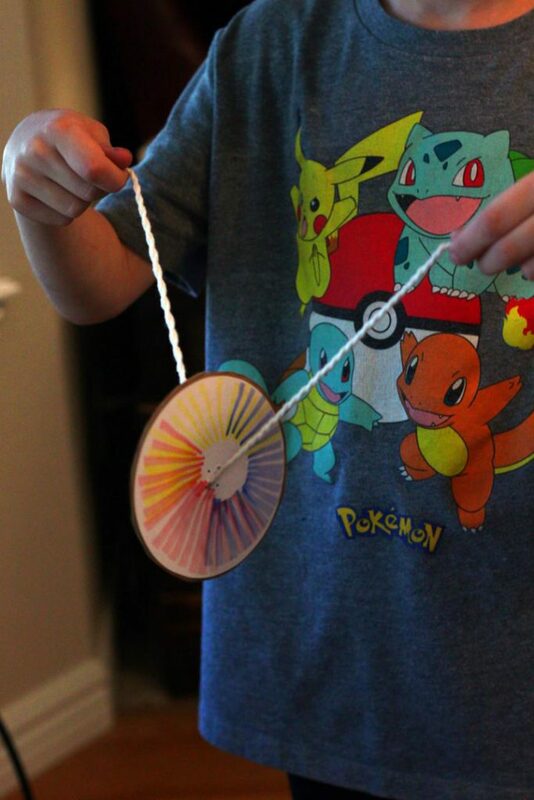 You should see the strings on either side of the disc begin to twist up. 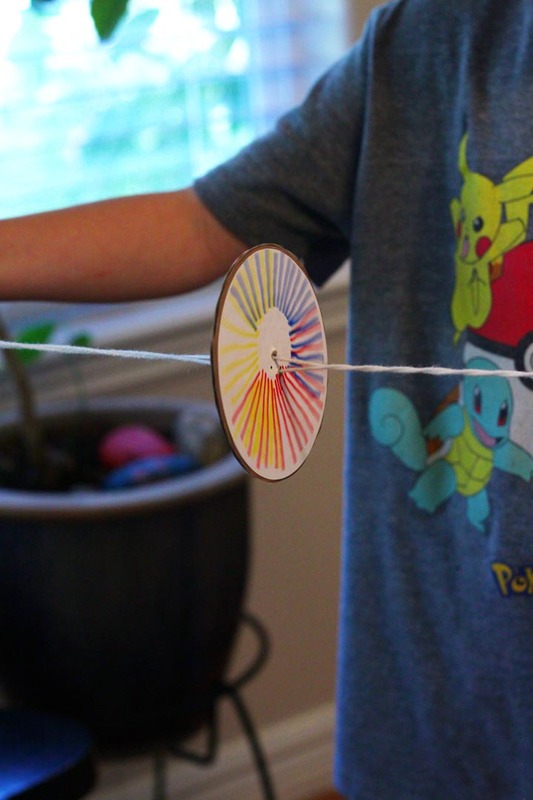 Keep winding up the string, even if the disc starts kind of flopping around, until the strings begin to kind of twist up onto themselves. 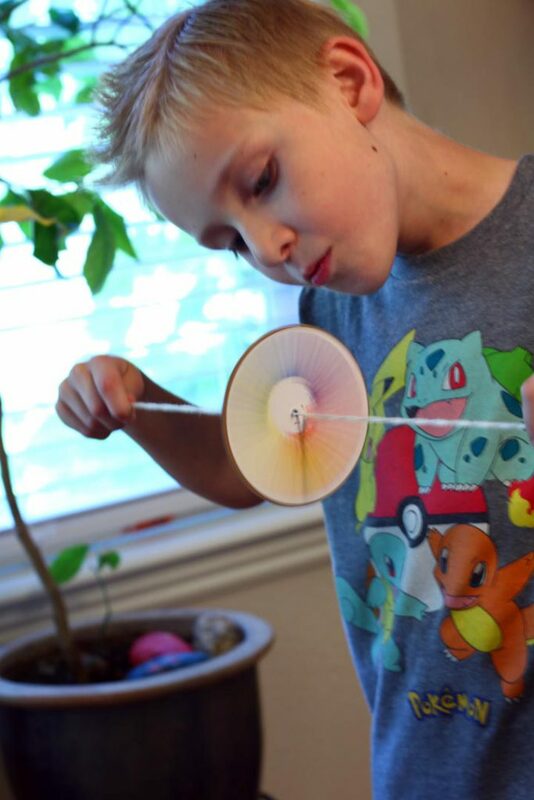 Then, pull the strings outward, making them taut, and the disc should begin spinning. 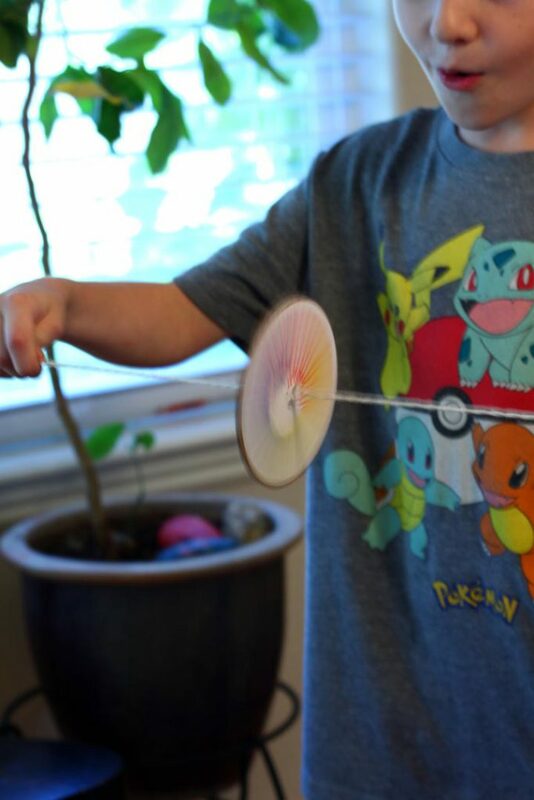 Alternate relaxing the strings, and pulling them taut, to make the disc spin, and even kind of hum. 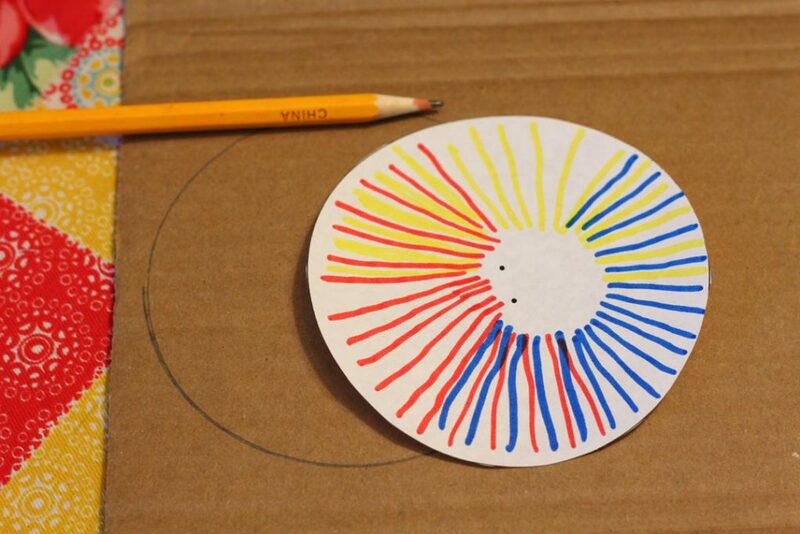 Experiment with different colors and patterns on your disc, and see how they blend when the disc spins.